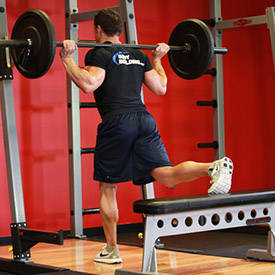 Also known as Bulgarian Split Squat, Single-Leg Squat, and Rear Foot Elevated Split Squat. Variations: You can use a step up box to place your toes on to perform this exercise. You can even elevate the step up box. 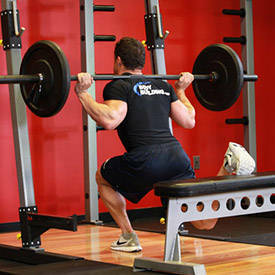 Note: the higher the step up box, the more difficult it is to perform this exercise.